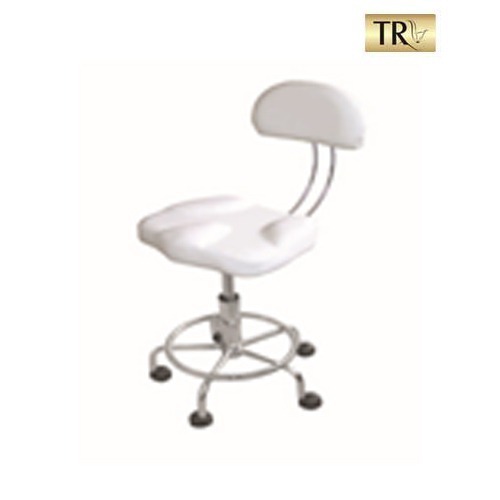 We are engaged in providing our customers with Dental Cabin Stool that are procured from the reliable vendors of the market leading prices. Conform to international quality standards, all the products are known for their longer service life, easy cleaning and zero maintenance. Furthermore, we provide customized packaging to our clients as per the demands and needs. Having Vast of experience in this domain, we have been successfully trading and supplying an extensive assortment of Crystal Saloon Chair Japan, Pedicure stations, Shampoo Stations, Spa Beds, Spa and Salon Furniture, Salon Equipment, Spa Accessories. The products supplied by our organization have wide applications in beauty parlors. Our offered range includes Spa Beds, Facial Beds, Styling Chairs, Salon Chairs, Salon Stools, Shampoo Wash Stations, Pedicure Stations. Further, we also provide Spa Stool, Spa Trolley, Salon Equipment, Hair Brushes & Combs, Straightening Iron, Spa Decorative Items. We procure our products from authentic vendors, who are known to use quality material and latest technology. After procuring, we test the products on various parameters and ensure that these get delivered within the stipulated time frame. We offer various payment modes to the clients and strive to provide them with maximum benefit and comfort. Due to these features, we have garnered a huge clientele in different parts of the country.